It has been a good year for me out on the tors of Dartmoor and the fells of the Lake District. Looking back I’ve walked about 330 miles, give or take, in 74 separate walks, which I’m really pleased with. I’ve had some fantastic walks and some not so (one in particular on Lee Moor which springs to mind). I’ve been to Snowdonia for the first time this year and I’ll definitely be back, been to the Lakes 3 times, in all weather and got tantalisingly close to finishing my list of Dartmoor Tors. Just 15 left to do, with a couple of tricky ones on the south moor in Nakers Hill and Langcombe Hill, a gathering of rocks and tors on the north eastern side, one in the middle, Quintins Man and Brent Tor the furthest west tor. These last two will probably be my last two on my list, which will hopefully be complete in January/February time. Below is a list of my favourite outings this year, i’ve decided not to limit it to 5!! Looking at the list its 4 from Dartmoor, 3 in The Lakes and one in Snowdonia. A snowy Foggintor = Loved this walk with the boys, I got pelted with snowballs and we saw a fantastic sunset. Cosdon Hill and round to Belstone – Started off from South Zeal and had a real wow moment on reaching the top of Cosdon Hill, the rest of the walk was brilliant as well. 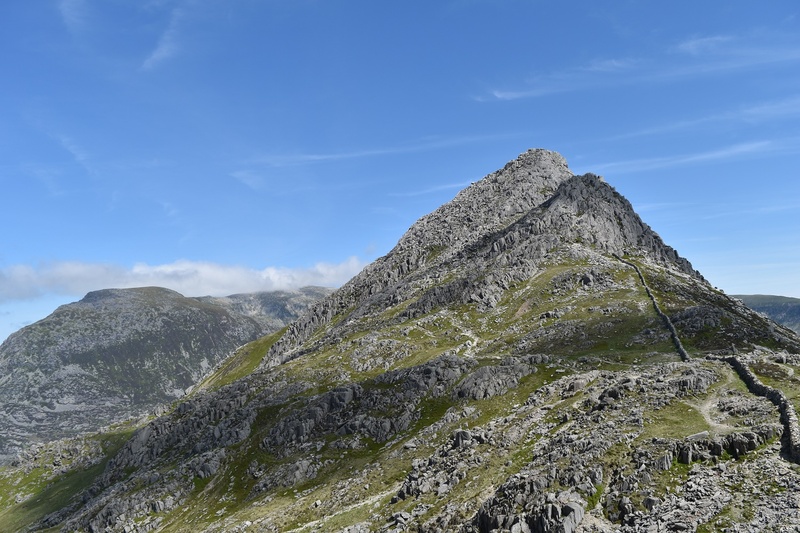 Tryfan and the Bristly Ridge – Probably the hardest walk of the year and to the highest summit, my first foray into Snowdonia. Grasmere – Torn between this one and the Buttermere walk back in Feb for the best low level walk. The autumn colours won it though for me. Stalldown Barrow – Lastly one I’ve just done, it was mainly because of the fun we had crossing the River Erme, twice!! As for next year, some of the targets are obvious. Completing my list of Dartmoor Tors is probably my first to tick off. Walks in Cornwall. Once I’ve finished on Dartmoor then a few wanderings around Bodmin Moor are needed. Your Snowdon pics are amazing! Just looked back on them. Here’s to a great 2017 outside!